My wife and I have never been big fans of deep or controversial movies. The reason being that if we want to go to a movie, we want to go for the experience of escaping into an adventure or travelling to a distant alien planet or rooting for the underdog who travels into hostile territory to destroy a ring that nobody else has the courage or will to do. 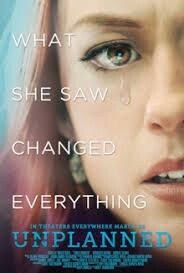 Recently, we took a different turn and decided to view the movie Unplanned. 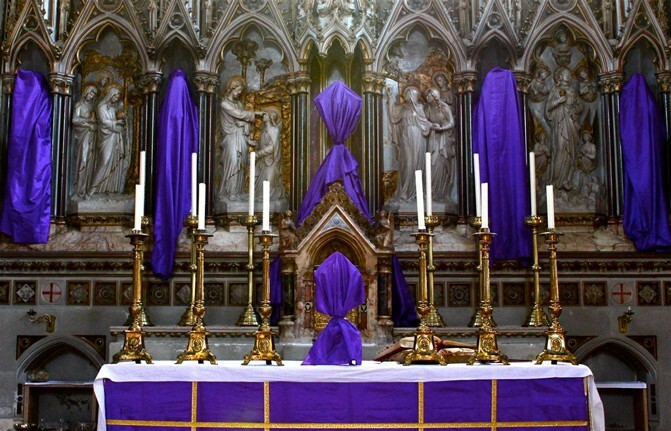 After first vespers of the fifth Sunday of Lent we enter the beautiful but solemn season of Passiontide. We went to a friend’s Church last weekend for a Baptism, and sat behind a family where a mother was sitting with her 4 boys, ranging from elementary school to high school. Next to them was a man in the aisle in a wheelchair, with a breathing mask on and his limbs strapped to the chair. I didn’t know what family the man belonged to until a beep on the chair sent the mother of the 4 boys rushing to the chair to take care of the matter. Then, at the Our Father, the youngest boy – maybe 5th grade?- reached over and grabbed the man’s hand. I then saw his ring, and knew he was the husband and father of this family.